When Is the Right Time To Buy Precious Metals? Should I Wait for Lower Prices before Buying? In recent months, there are more people than ever either thinking about getting started in precious metals or adding to an existing holding. We are always happy to answer customer’s questions individually. However, we know many people share some many of the same questions, because we’re hearing them more than once. That’s why we like to publish both these questions and our responses to them. Question: Precious metals have not fared too well recently. There are lots of people talking about prices still having a long way to fall. Should I wait for lower prices? Answer: If you are like most people considering buying precious metals, you recognize there is wisdom in diversifying out of paper assets including dollars, stocks, and bonds. The shakier financial markets get, the wiser it looks to get out. The problem is that metals recently have not, for the most part, functioned as an attractive alternative to these conventional assets. The reason is that gold and silver prices are set in paper futures markets. And these markets are prone to all the same weaknesses: high-frequency trading, bankers manipulating markets in order to cheat their brokerage clients, central bank interventions, and extraordinary leverage. In other words, prices set there do not fully reflect supply and demand – and they certainly do not tell the whole story. It is understandably tempting to wait for even lower prices before buying. But with price discovery as broken as it is, relying on price charts alone to make investment decisions is unwise. 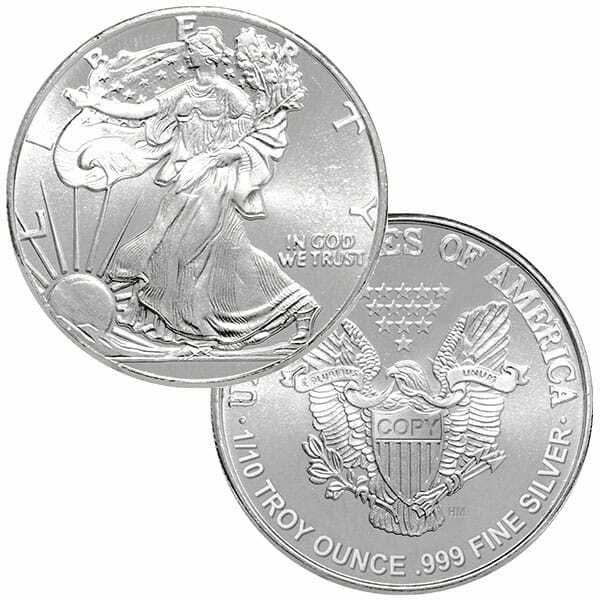 We strongly suggest investors take a deeper look at activity in the physical market for gold and silver coins, rounds, and bars. The fundamentals there paint a radically different picture. Mints and refiners are not able to keep up with it. This at a time when, according to CNBC and most of the financial press, gold is little more than a “pet rock.” What will happen when sentiment in this crowd starts to shift and a whole lot of former “paper- bugs” jump into the bullion markets? Don’t let a fixation on trying to pick the bottom in prices distract you from the more important mission – diversifying out of paper assets. It’s vitally important, and you shouldn’t fool around trying to predict spot prices. "If you own little to no gold and silver, we believe you are taking a huge risk in not fixing that problem immediately." If you own little to no gold and silver, we believe you are taking a huge risk in not fixing that problem immediately. You don’t have the luxury of timing the market. What’s the Best Silver for the “Worst Case Scenario”? 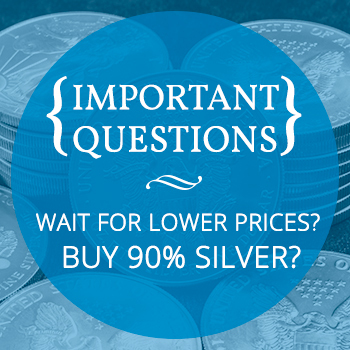 These days, there is just no way around paying higher premiums for the gold and silver products best suited for bartering. It makes sense to prepare for a currency crisis, so getting a small portion of your holding in small-sized coins or rounds may be well worth a few extra dollars per ounce. We simply suggest investors concentrate the bulk of their buying in lower premium products – 1 oz and larger.